"The Narendra Modi government has done a lot of work for the flourishing and upliftment of the Dalit society," the BJP chief said at Shahjahanpur on Saturday. "When the election comes, Behen ji remembers Ambedkar. But on winning elections, she only erects her own statues," he said. He also brought up the Triple Talaq Bill, and said Opposition has come in the way of it. Shah also promised complete electrification of villages, jobs for everyone and a toilet in every home by 2022. "Let Rahul baba, Mayawati and Akhilesh ji cry," he said. Speaking at his second rally in Uttar Pradesh, Amit Shah said, "For 55 years, Rahul baba and company ruled the country but did not do good to the poor. These people did nothing except cause corruption." 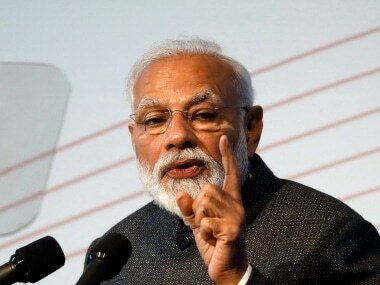 He highlighted Modi's visit to the Kumbh Mela, and notwithstanding the controversy surrounding the invocation of Armymen in campaign speeches, brough up the Pulwama massacre and said, the Air Force, upon Narendra Modi's direction, went to Pakistan to conduct "surgical strikes" as revenge. BSP chief says she has both "Ali and Bajrangbali"
Slamming Uttar Pradesh CM Yogi Adityanath's remark on Ali and Bajrangbali, Mayawati said on Saturday that the BSP has "Ali and Bajrangbali" both. "We also need Bajrangbali because he is associated with my Dalit roots. His caste roots were not investigated by me but by the Uttar Pradesh chief minister," she said. BSP chief Mayawati said on Saturday that she has neither apologised to the Election Commission over her remarks asking Muslim voters in Deoband not to vote for a particular party, and nor was she going to. She has, however replied to the EC's showcause notice in this regard. Her remark two days ago had elicited a reply from Uttar Pradesh chief minister Yogi Adityanath, who said that while BSP is concerned with 'Ali', BJP thinks of 'Bajrangbali'. Adityanath, too, was given a notice by the EC. Addressing a rally in Siliguri, West Bengal chief Minister Mamata Banerjee said, "I would request all not to vote for CPM and also please do not waste your vote by giving it to Congress. I was in Congress then quit and formed Trinamool, following which you are witnessing development." Speaking at Uttar Pradesh's Badaun, in his first rally of the day, BJP chief Amit Shah said on Saturday, that because the mahagathbandhan had no policy or a leader, they would not be able to respond as a responsible government should in case of terror strikes. He added that the BJP and the Narendra Modi government have been able to make many significant changes to Badaun, and listed several of them at the rally. Speaking in Karnataka's Kolar, Congress chief Rahul Gandhi said, “We have made it clear in our manifesto that we will protect our farmers. We will make a special budget for our farmers when we come to power…this will be a separate budget besides the financial budget...we will tell our farmers what they will get from us at the beginning of the year itself. We will wipe out fear from our farmer's hearts." In a new press conference, Congress spokesperson Randeep Singh Surjewala spoke on a report on the French newspaper Le Monde in which a report said that the French government had forgiven Anil Ambani taxes worth several million euros only after Prime Minister Narendra Modi visited France and held talks with then president Francois Hollande. At his Ramanathapuram rally, the prime minister turned the lens on neighbouring Kerala, where he said, the "Congress, communists and the Muslim League" were playing a dangerous "game" with the Sabarimala temple. "They are using brute force to strike at the root of faith and express. Sadly for them, till BJP is there no one will be able to destroy our faith and culture," Modi said. 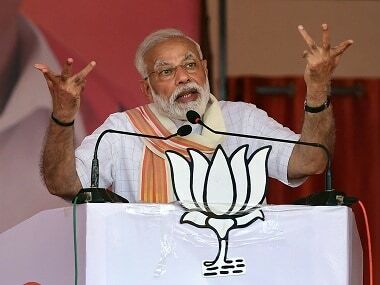 Speaking at Tamil Nadu's Ramanathapuram, in his second rally on Saturday, Prime Minister Narendra Modi blamed the Congress for stopping many of his government's efforts and made renewed promises for a water ministry. "We brought a bill in the Parliament to abolish practice of triple talaq but Congress, DMK and Muslim League opposed it," he said. He also asked why the Congress has never erected statues for former presidents but only for members of "one family." "If you go to Delhi, prime real estate has been used for the memorials of members of one family as if no other person contributed to India except one family," he said. The Election Commission has shared photographs of polling personnel at an altitude of 13,583 feet in Luguthang of Arunachal Pradesh. The booths will fall under the Mukto Assembly constituency. BJP's candidate for Mathura, Hema Malini, said on Saturday that it did not matter who voted for BJP and who did not when it came to helping people. Hema was reacting to Maneka Gandhi's line to Sultanpur's Muslim voters a day ago, in which she asked them to vote for her if they wanted jobs. "On the triple talaq issue too, many women of the minority communities supported us. Even if they had not, we would have helped them. You have to help everybody, it doesn't matter who voted for us and who did not," she said. 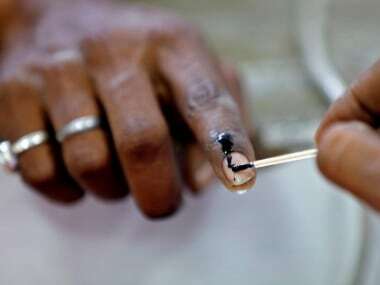 Dravida Munnetra Kazhagham has announced candidates for byelections to four Legislative Assembly constituencies in Tamil Nadu on May 19. The party has fielded N Pazhanisamy from Sulur, Senthil Balaji from Aravakurichi, MC Shanmugaiya from Ottapidaram and P Saravanan from Thiruparankundram. Speaking at Tamil Nadu's Theni, in Saturday's searing heat, prime minister Narendra Modi hailed the likes of Jayalalithaa and MGR and slammed Congress leader P Chidambaram and his son Karti. "I pay homage to great MGR and Jayalalithaa ji. India is proud of these two iconic leaders who lived and worked for the poor," he said. "What have we been witness to? Father becomes the Finance Minister and son loots the country. Whenever they are in government, they always loot," he said, on the Congress leader. Andhra Pradesh chief minister Chandrababu Naidu has met the Election Commission to lodge a complaint about EVM malfunctioning across Andhra Pradesh on 11 April. Greeting people on the occasion of Ram Navami, BSP chief Mayawati issued a warning against ostensibly Yogi Adityanath, who had recently said that while Mayawati and BSP thought of 'Ali', the BJP instead thought of 'Bajrangbali'. Yadav’s comment comes after Kishor took it to Twitter to deny what Rabri Devi a day ago had said, about Nitish sending Kishor to meet Lalu Prasad five times in attempts to reunite JDU and RJD. BJP president Amit Shah will address public meetings at Badaun. 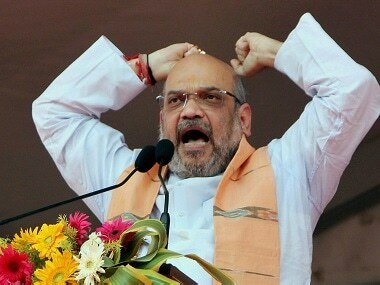 Shah, who will also address a rally at Shahjahanpur in Uttar Pradesh, on Friday described the recent Maoist attack in Dantewada, where a Chhattisgarh BJP MLA was killed, as "political conspiracy" and sought a CBI probe into it. Like Friday, Narendra Modi will keep to the south on the campaign trail, on a crucial weekend before Phase 2 of the Lok Sabha elections take place next Thursday. The BJP, through its Twitter handle, has advertised that the speech will be broadcast on NaMo TV. The prime minister said the Lok Sabha polls were not about choosing the prime minister or a government, but on how "New India" should be in the 21st century. He also hit out at the Congress, saying that the country gave it an opportunity in the 20th century, but the party lost it by handing it over to one family. We brought a bill in the Parliament to abolish practice of Triple Talaq but Congress, DMK and Muslim League opposed it. Lok Sabha Election 2019 LATEST updates: Prime Minister Narendra Modi said Karnataka made a mistake in the state Assembly polls. He urged people to 'correct' that 'mistake' in the Lok Sabha polls. 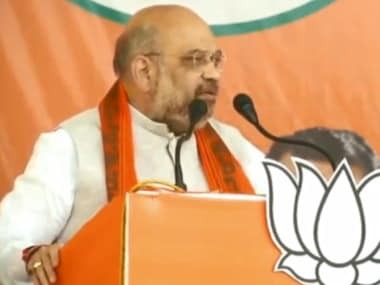 Speaking at his second rally in Uttar Pradesh, Amit Shah, notwithstanding the controversy surrounding the invocation of Armymen in campaign speeches, brough up the Pulwama massacre and said, the Air Force, upon Narendra Modi's direction, went to Pakistan to conduct "surgical strikes" as revenge. 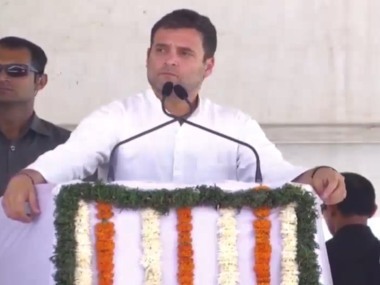 Speaking in Karnataka's Kolar, Congress chief Rahul Gandhi said that if voted to power, Congress will make sure that no farmer will go to jail for defaulting their loans. "The keys of the banks that Narendra Modi gave to Anil Ambani and Mehul Choksi will be taken from them and given to the youth of Karnataka. Prime minister doesn’t speak of jobs or corruption anymore because he has not delivered," he said. At his Ramanathapuram rally, the prime minister turned the lens on neighbouring Kerala, where he said, the "Congress, communists and the Muslim League" were playing a dangerous "game" with the Sabarimala temple. "They are using brute force to strike at the root of faith and express. Sadly for them, till BJP is there no one will be able to destroy our faith and culture," Modi said. Speaking at Tamil Nadu's Ramanathapuram, in his second rally on Saturday, Prime Minister Narendra Modi blamed the Congress for stopping many of his government's efforts and made renewed promises for a water ministry. He made the pitch for a second NDA government, asking voters to note that voting the Congress-DMK alliance into power will mean giving a free hand to terrorists.